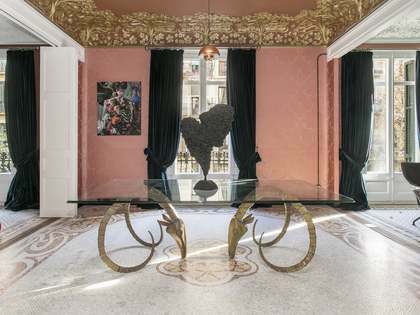 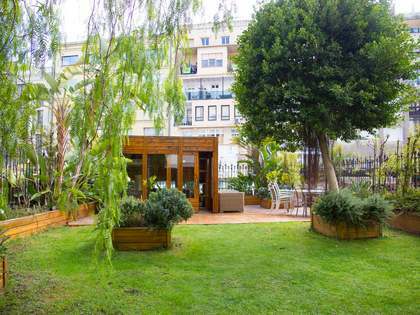 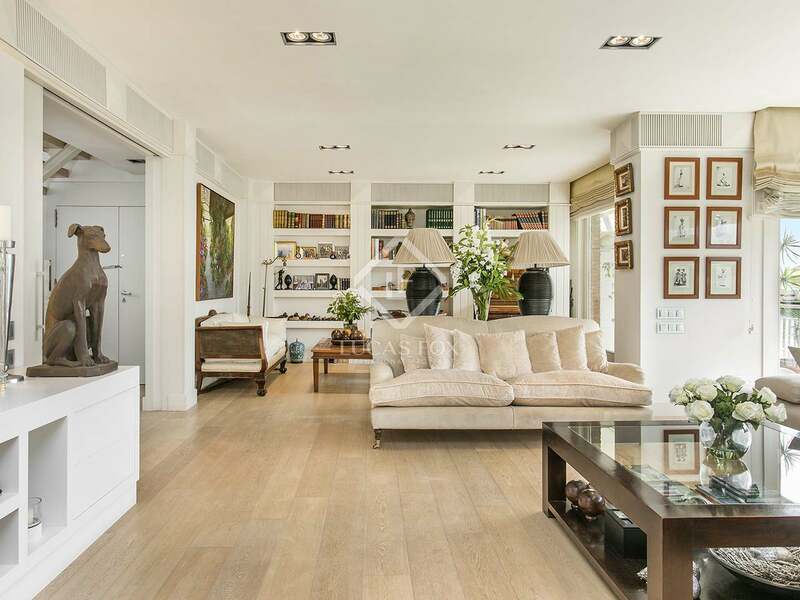 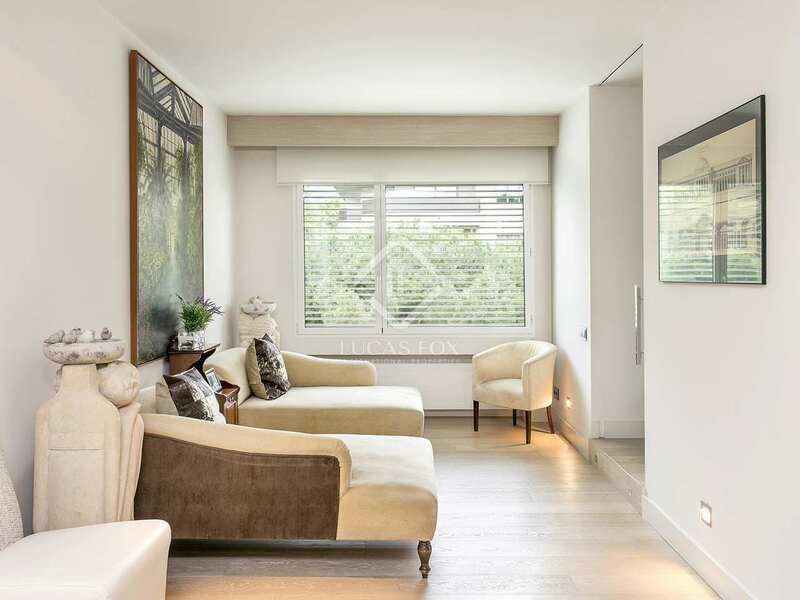 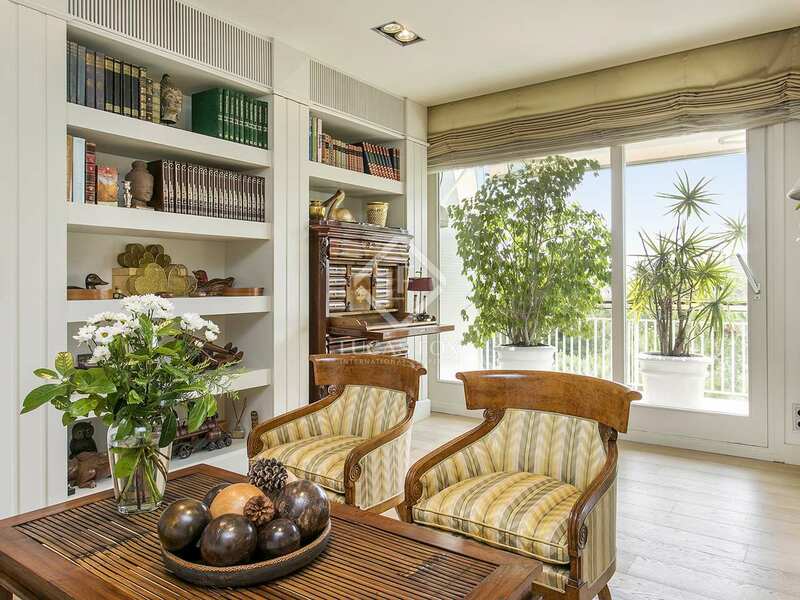 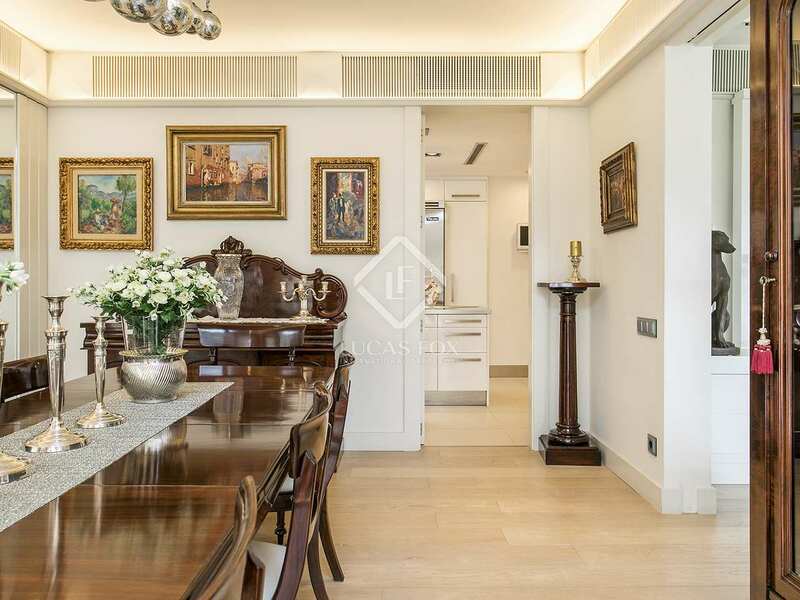 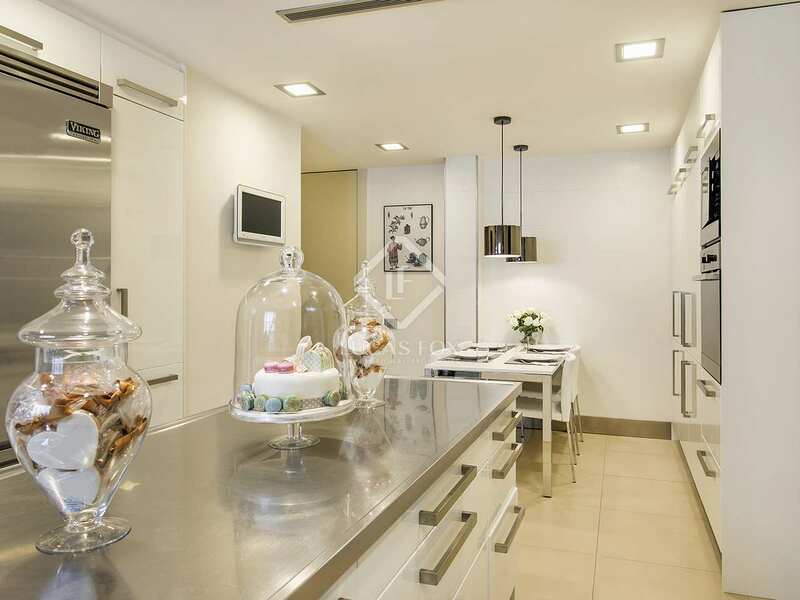 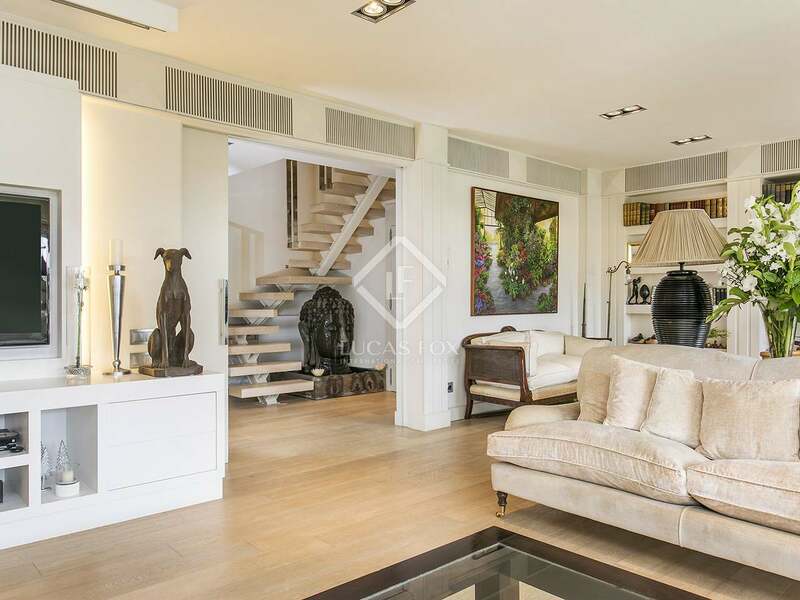 This beautifully renovated luxury apartment covers the top three floors of a quiet block in extensive gardens in one of Barcelona's most prestigious neighbourhoods. 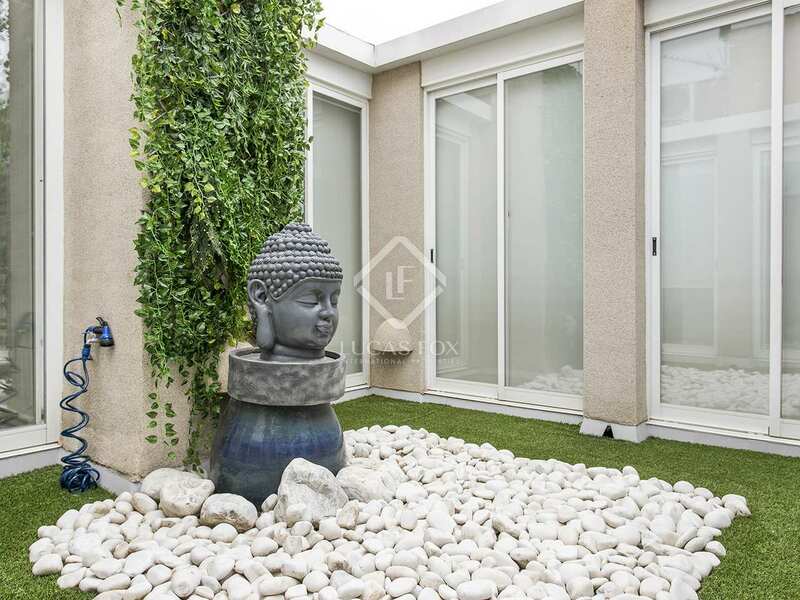 It combines peace and privacy with easy access to the city. 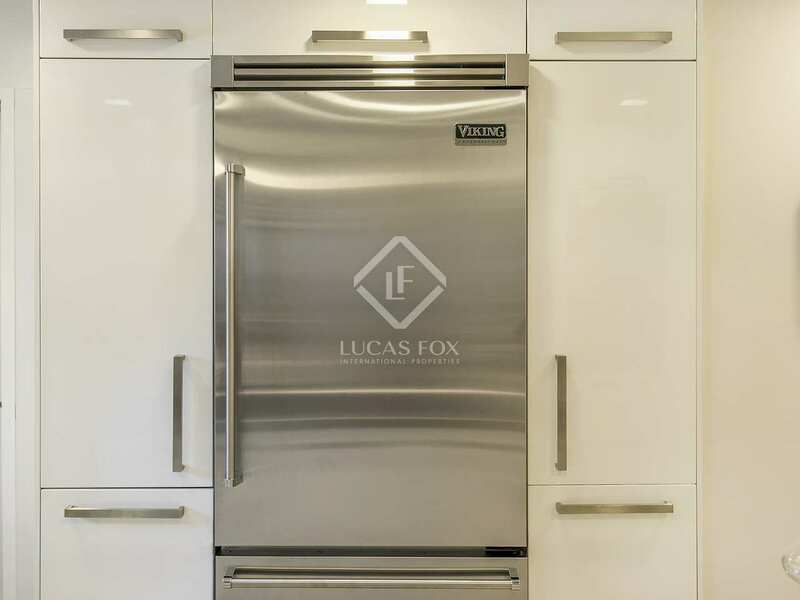 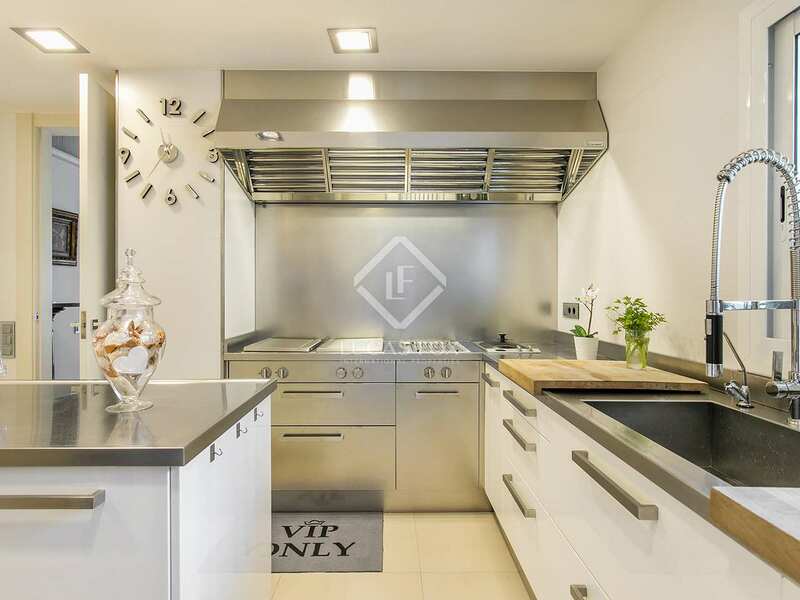 This property is all about sumptuous space and the highest quality finishes, with the 'ground' floor boasting a large dining room, open plan living areas and a kitchen boasting Gaggenau and Viking appliances. 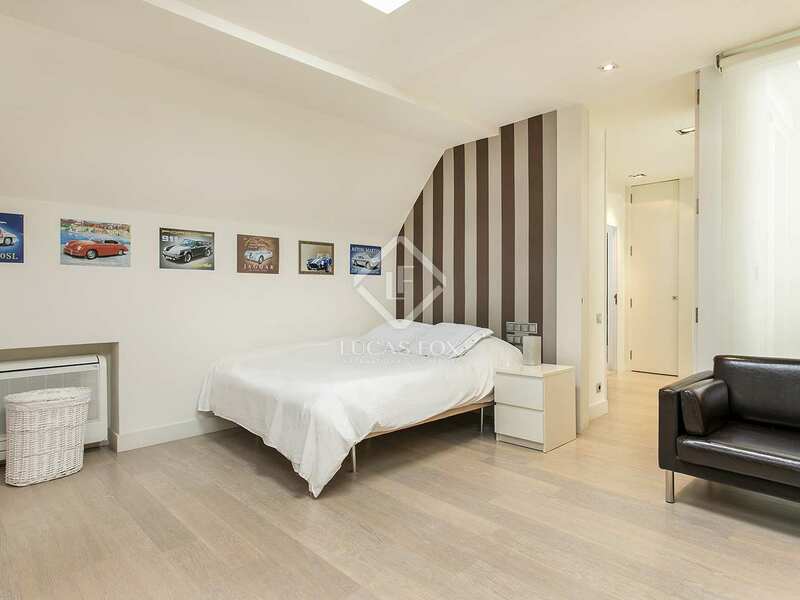 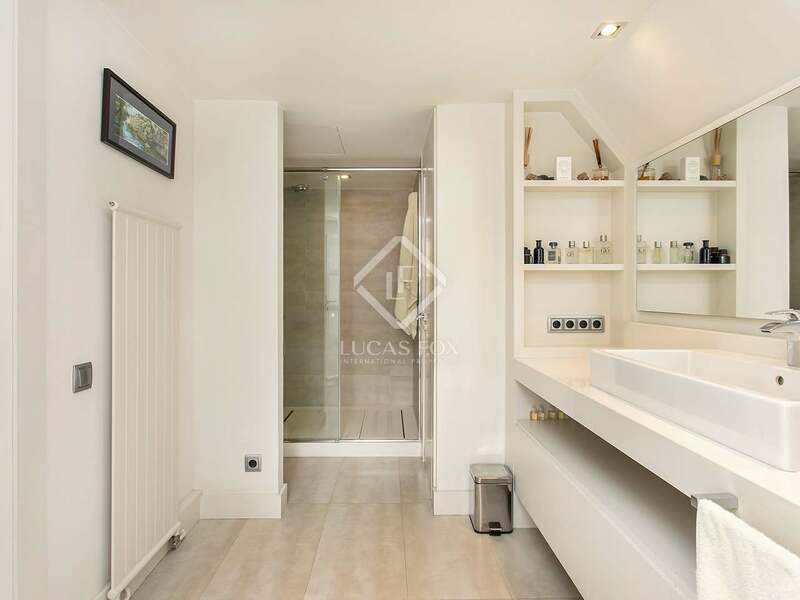 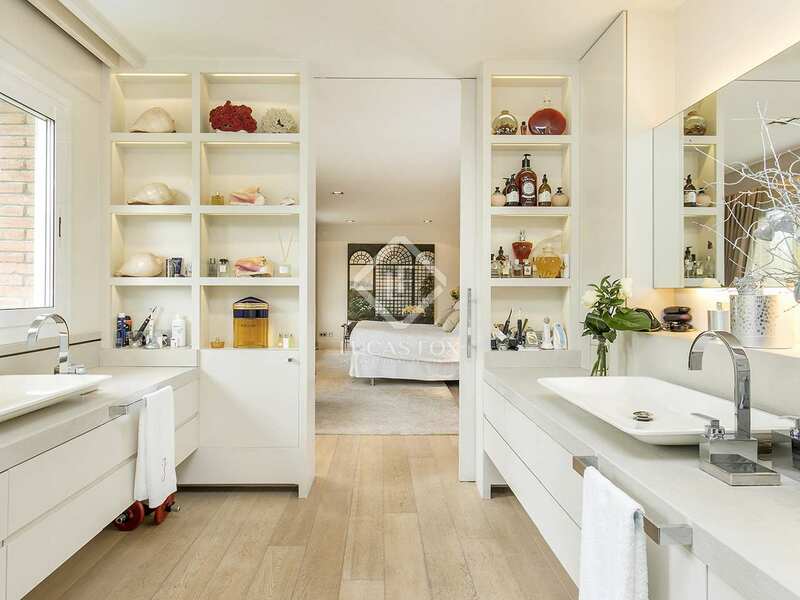 There is also a service bedroom with en-suite bathroom and seperate service entrance. 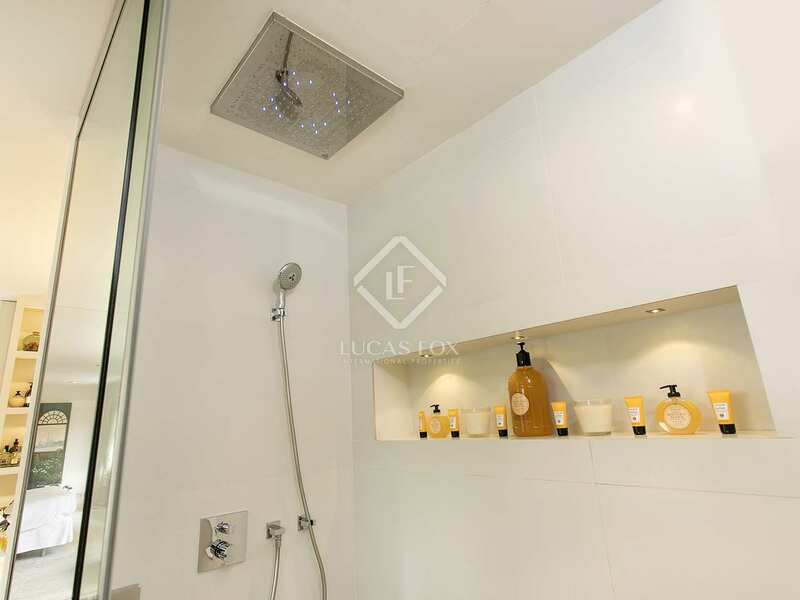 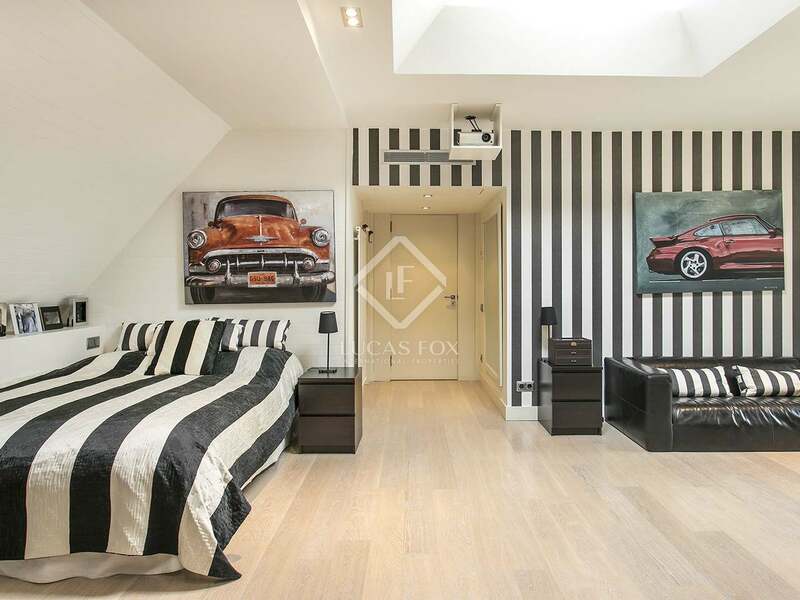 Upstairs, the bedrooms are large and generous with lovely bathrooms, dressing rooms and a 101m² of storage surrounding the space. 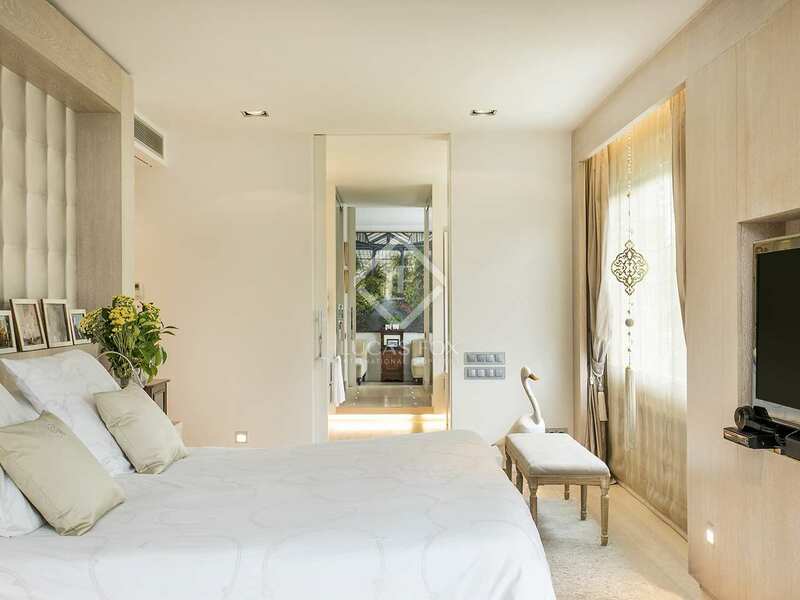 The 85m² master bedroom is a super suite with double dressing rooms and a huge bathroom. 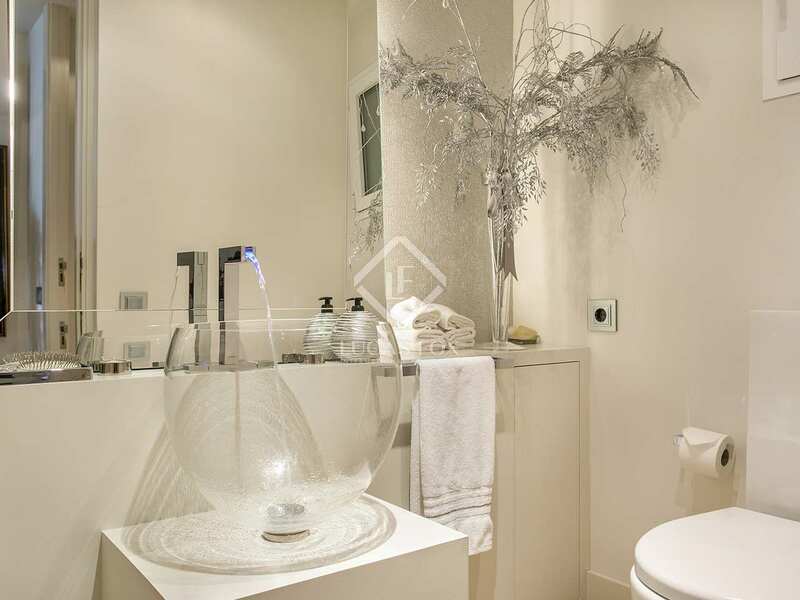 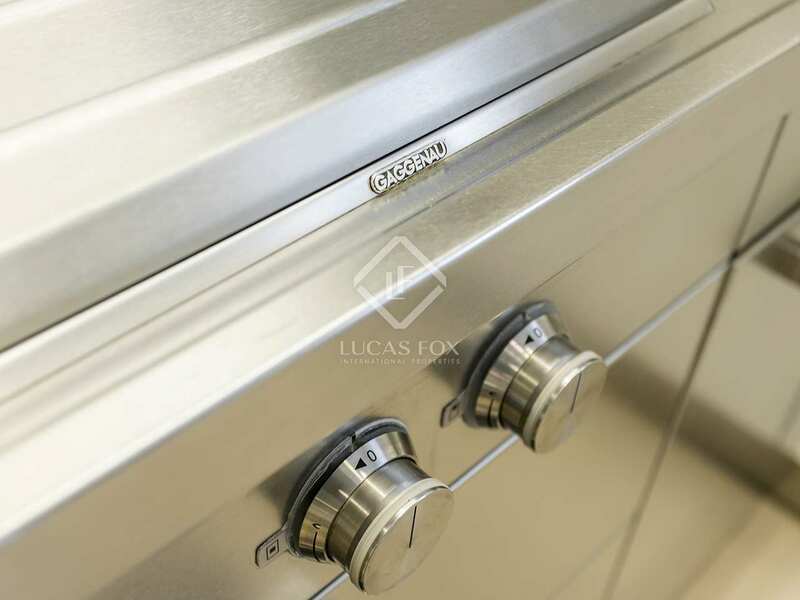 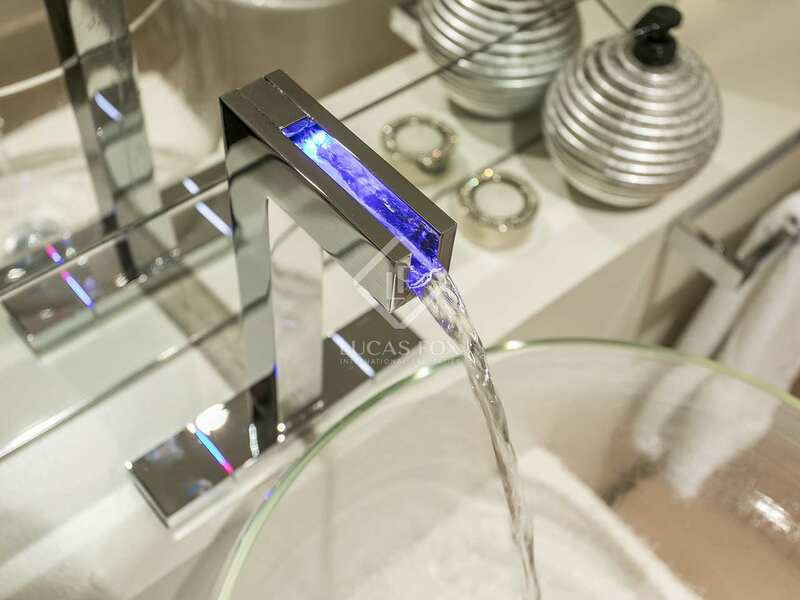 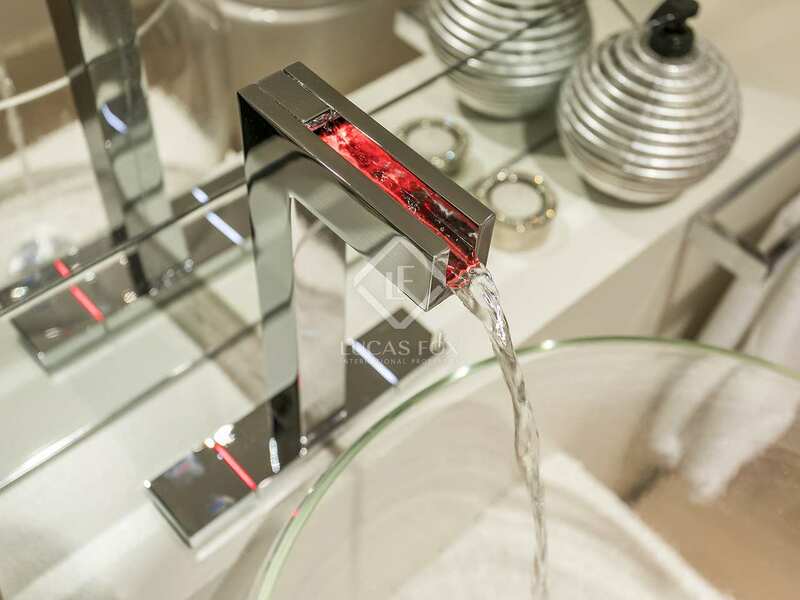 A bi-zonal heating system ensures a perfect ambiance at all times. 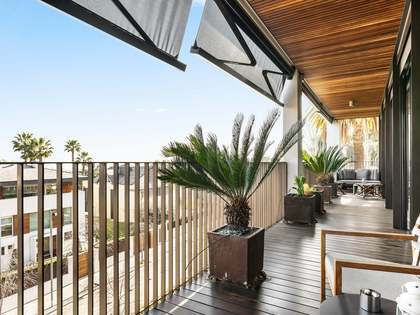 A fully-glazed enclosed terrace adds even more light to the rooms on this floor, and gives a taste of what is to come up the feature open staircase. 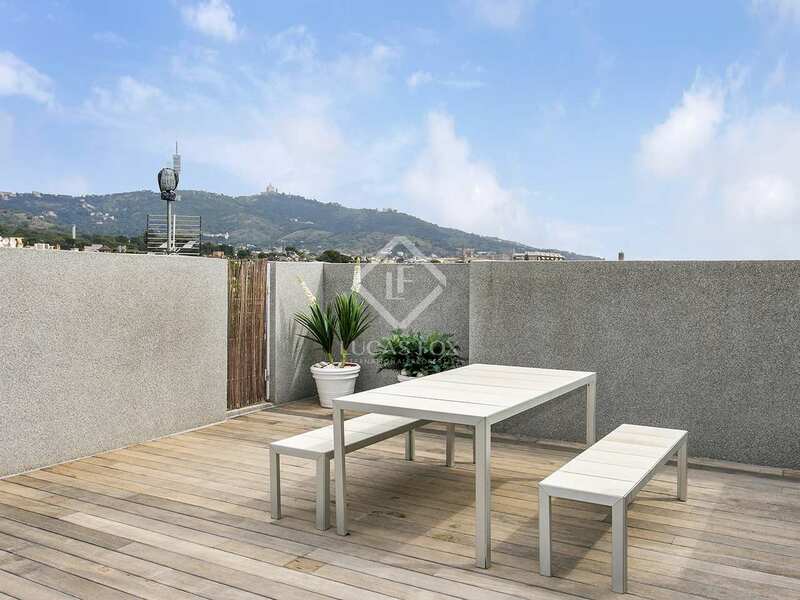 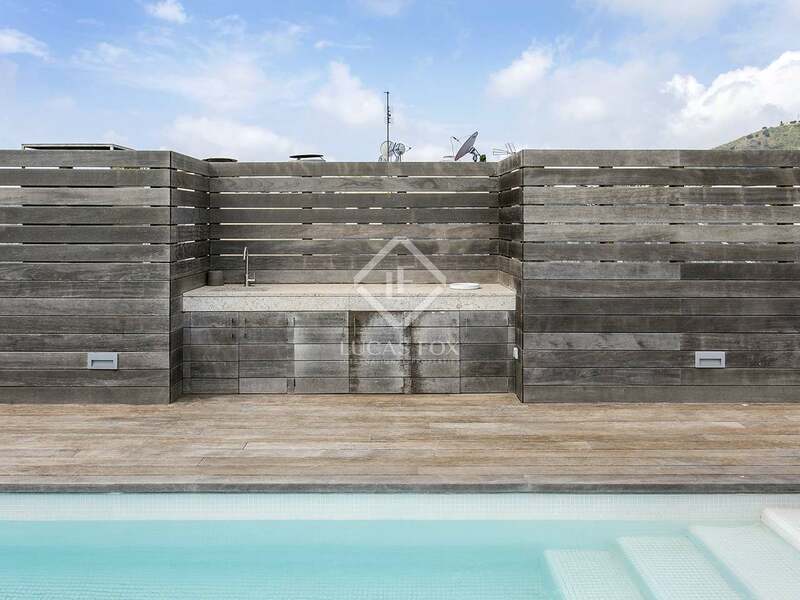 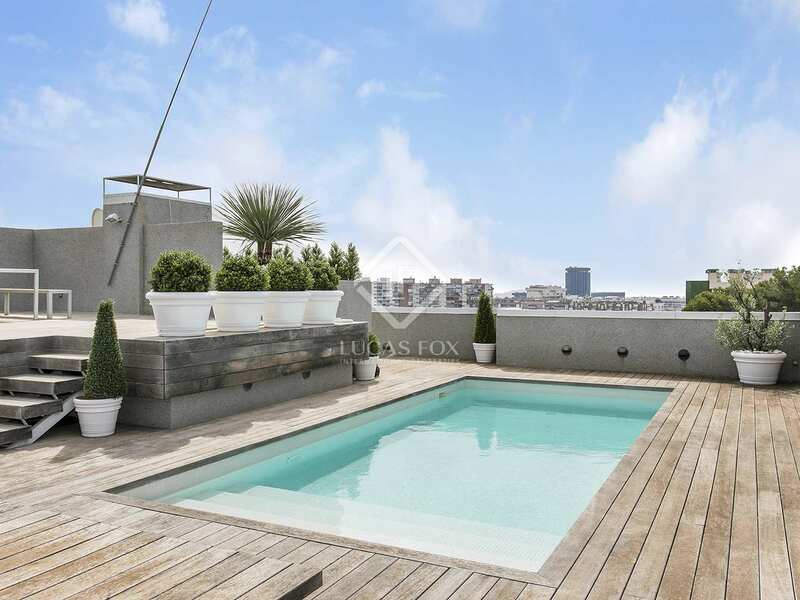 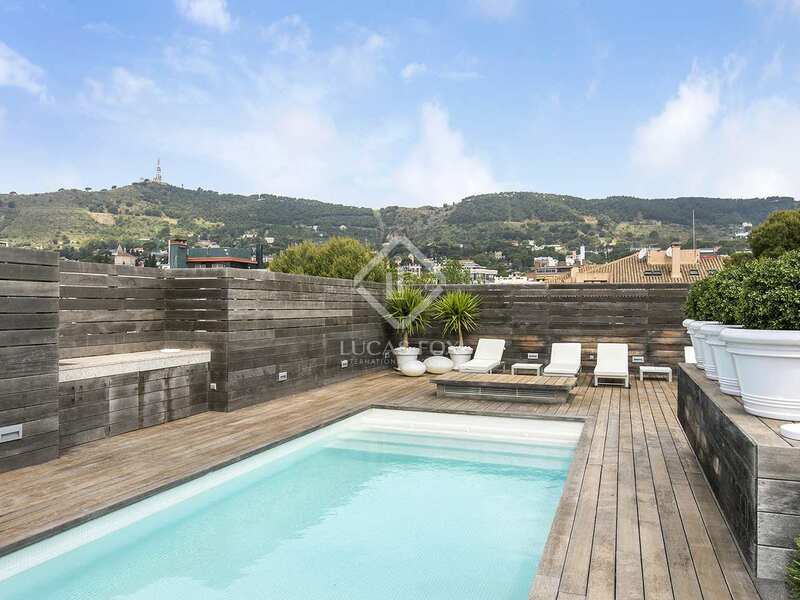 The magnificent roof terrace is a huge split-level, wood-decked area with private pool and barbecue area and views across town to the Collserola Natural Park and Tibidabo. 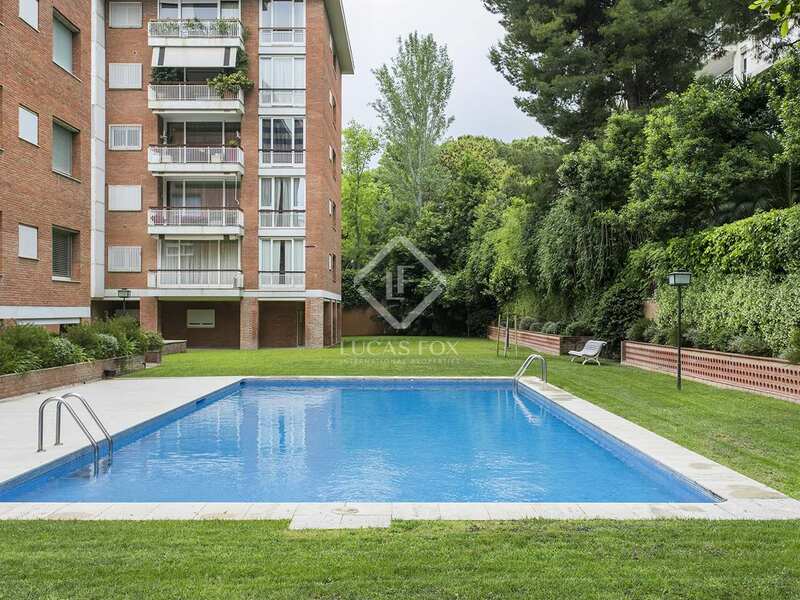 The building is surrounded by gardens with a communal pool and manicured lawns, and there are 2 large dedicated parking spaces in the garage. 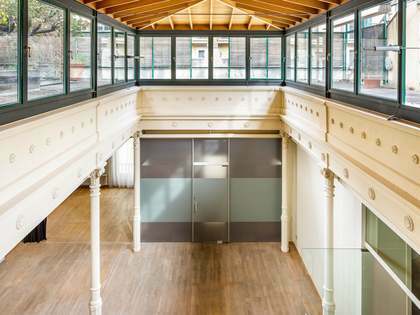 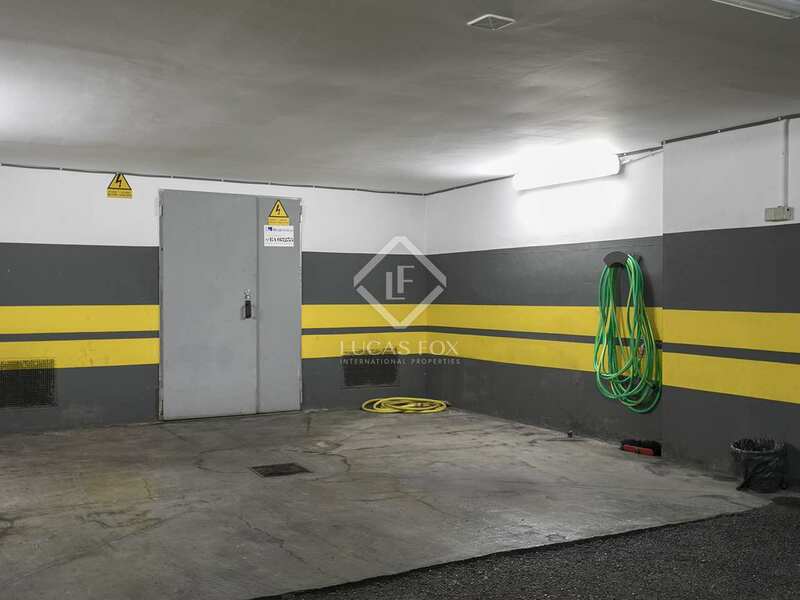 A large attic space around the perimeter of the first floor provides an extra 101m² of storage. 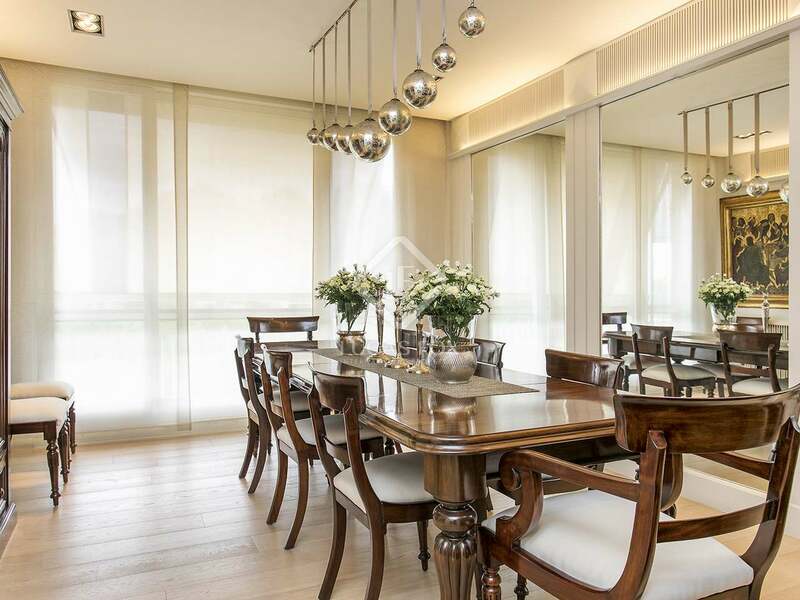 Added peace of mind is provided by a 24-hour concierge service. 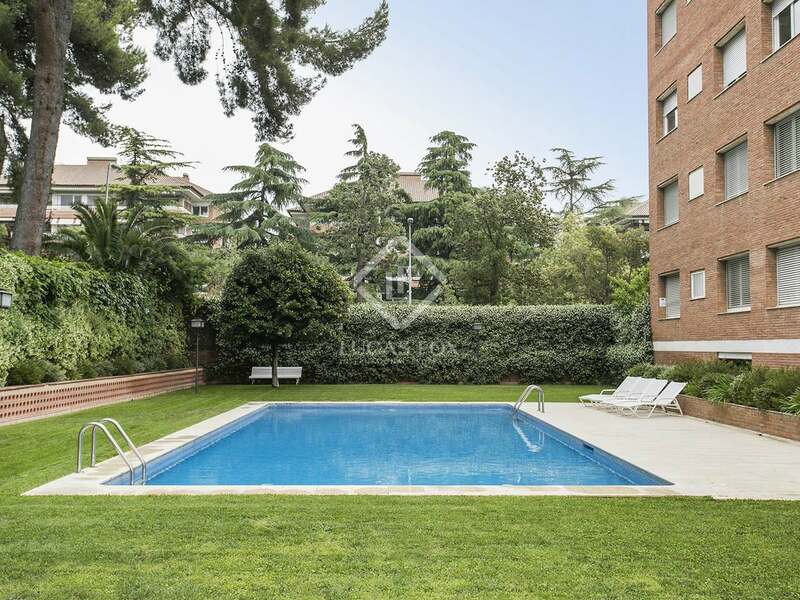 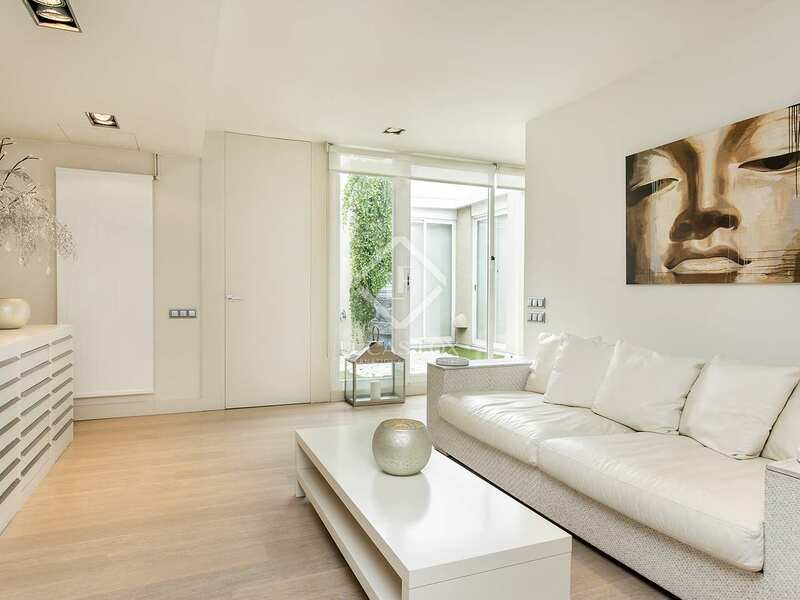 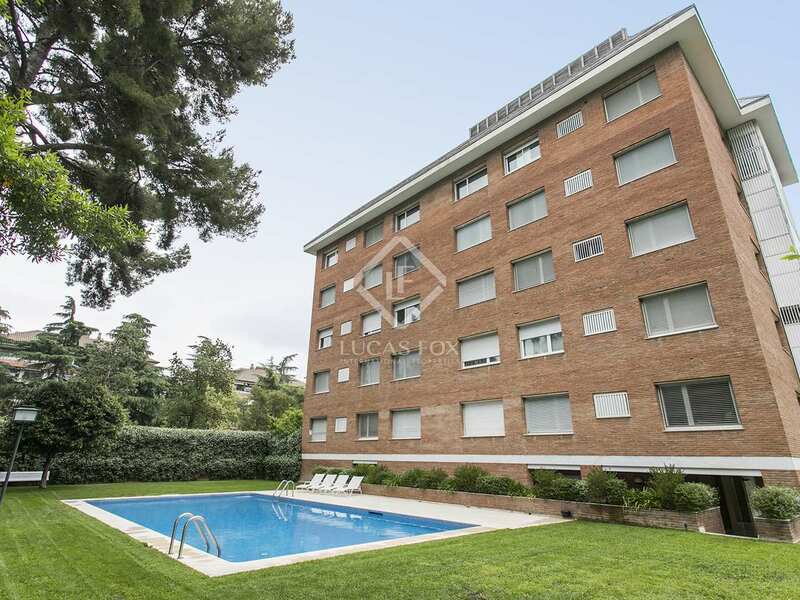 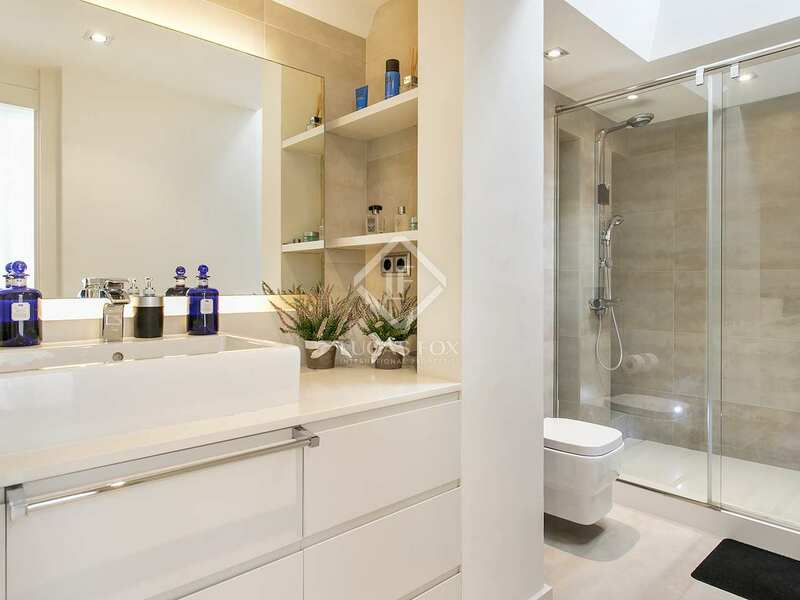 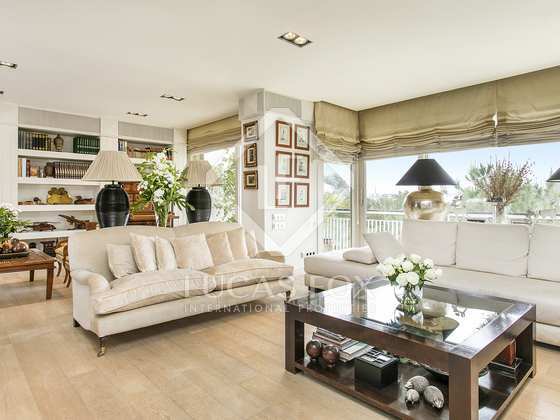 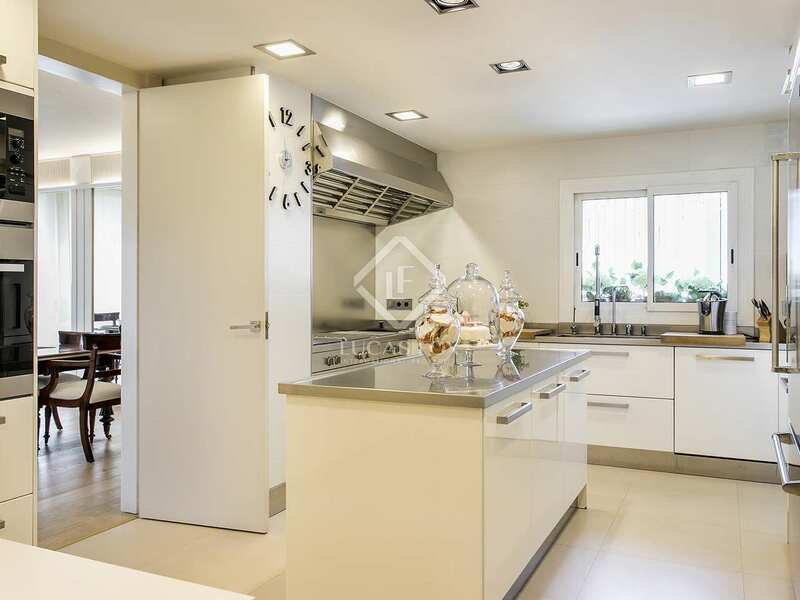 Pedralbes is one of the most sought-after residential areas in Barcelona. 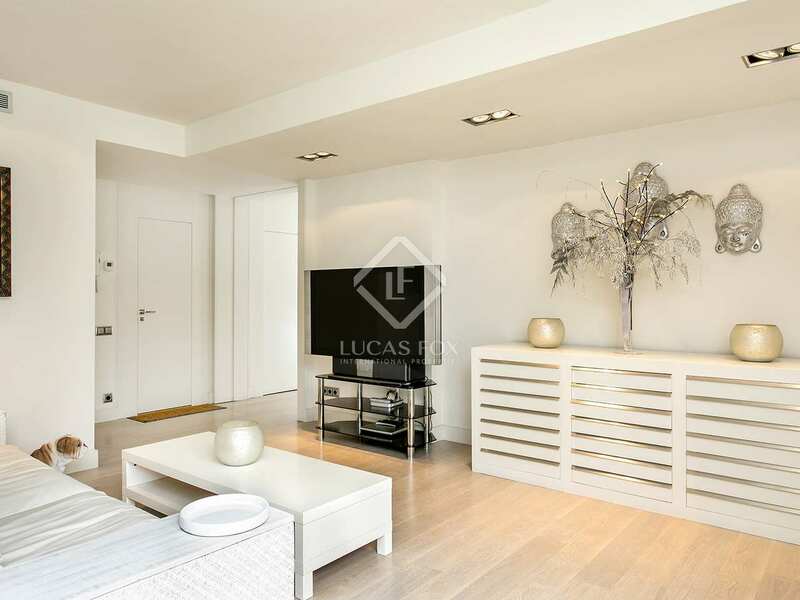 It is quiet, safe and provides a calm oasis with a semi-rural feel, but is within very easy reach of the city centre. 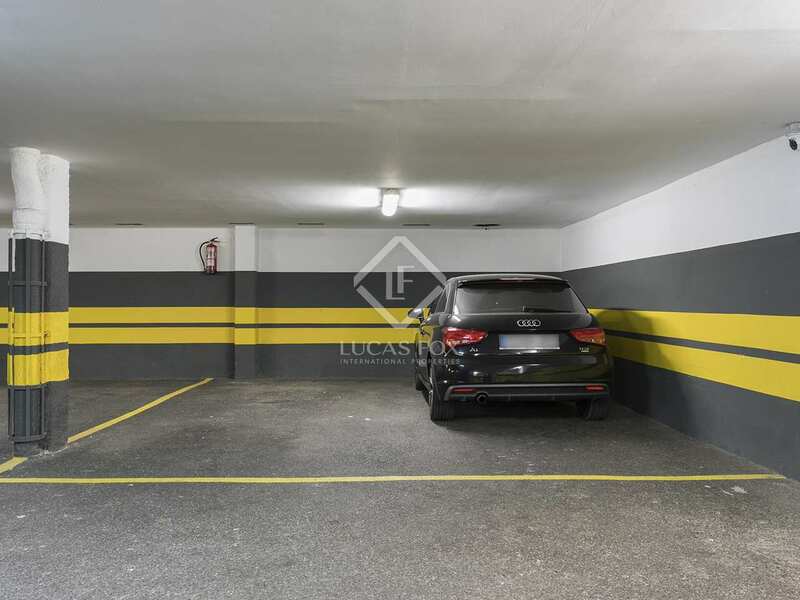 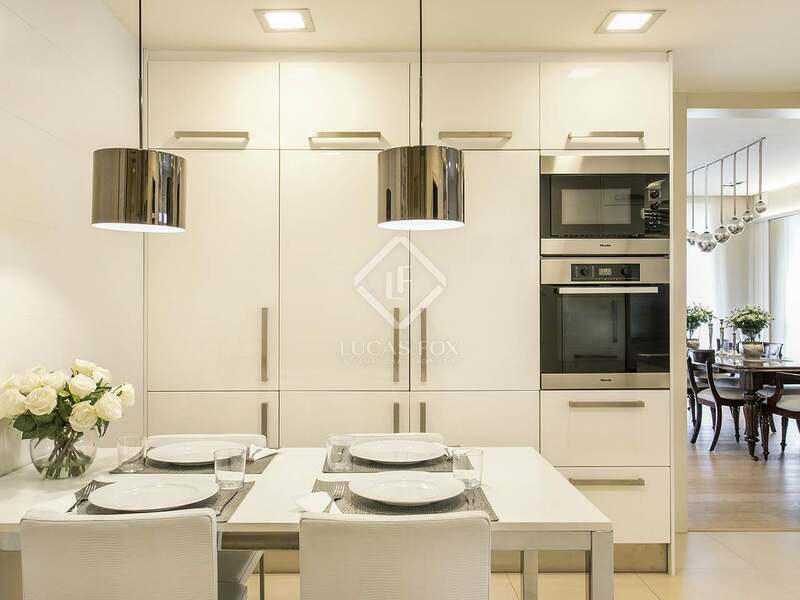 This is a popular neighbourhood with international families looking to take advantage of spacious luxury properties that are near excellent international schools and sports and leisure clubs. 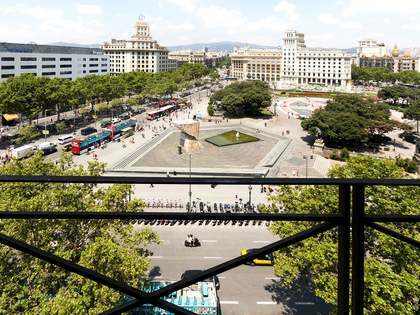 The Reial Club de Tennis Barcelona - home of the ATP Barcelona Open - is just around the corner. 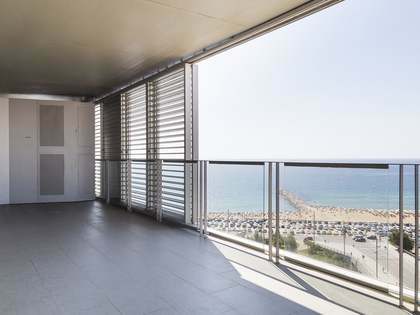 The upmarket area of Sarriá is very close, with its wealth of shops and bars and restaurants, or for those of a more energetic nature the trails and paths of the Collserola provide easy walks with beautiful views over the city or endless opportunities for very scenic hiking or mountain biking. 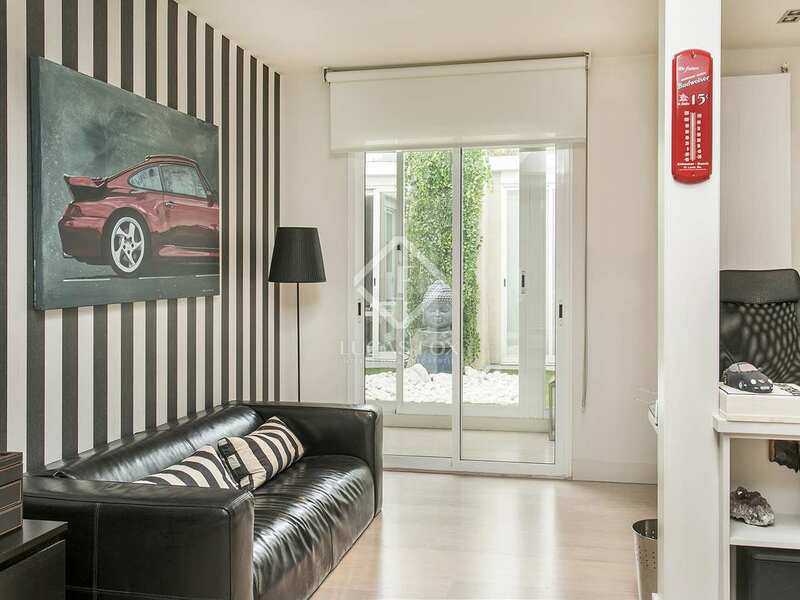 Transport around town is easy, and the airport is less than 20 minutes away by car.